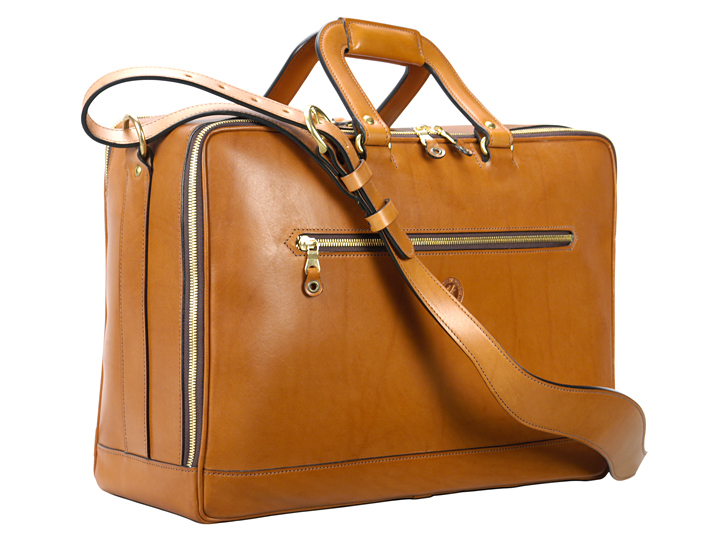 17″ hand-burnished chestnut Soft Attaché: $1050. 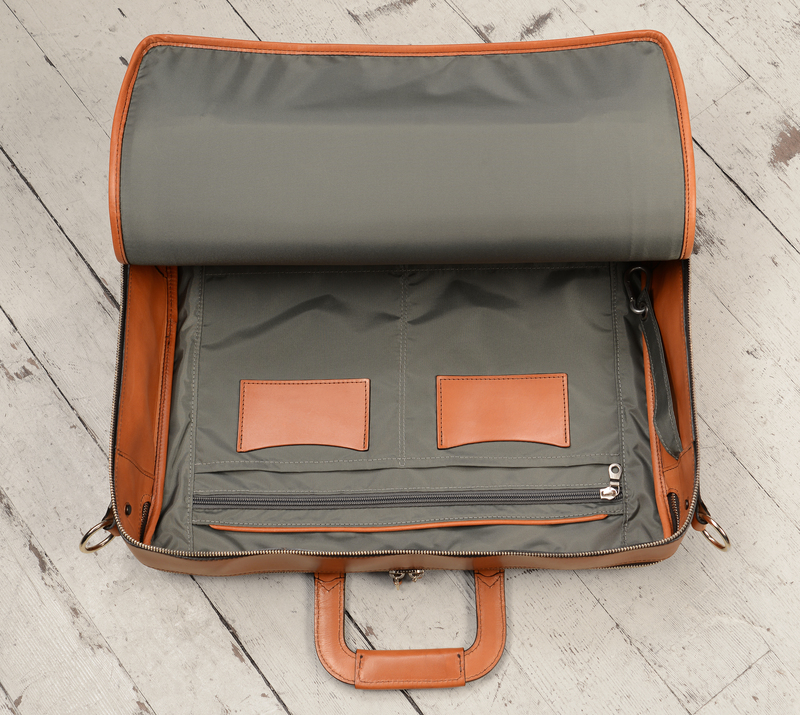 (Also available in hand-grained, hand-colored leather: $2100). 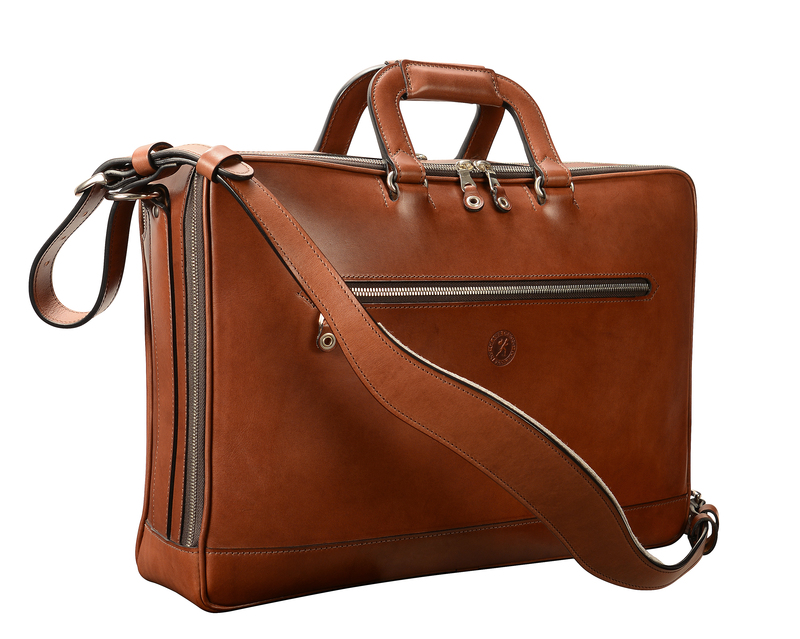 17″ hand-burnished espresso Soft Attaché: $1050. 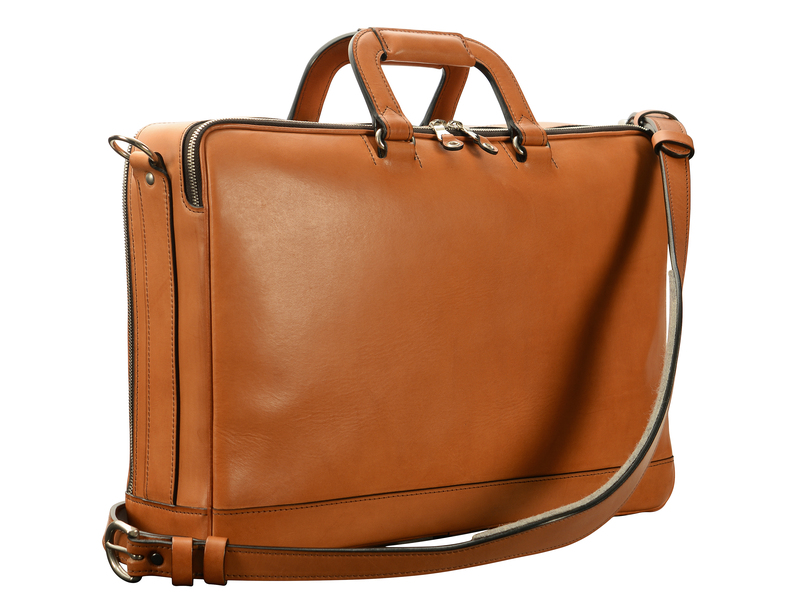 (Also available in hand-grained, hand-colored leather: $2100). 17″ hand-grained, hand-colored black Soft Attaché: $2100. (Also available in hand-burnished leather: $1050). 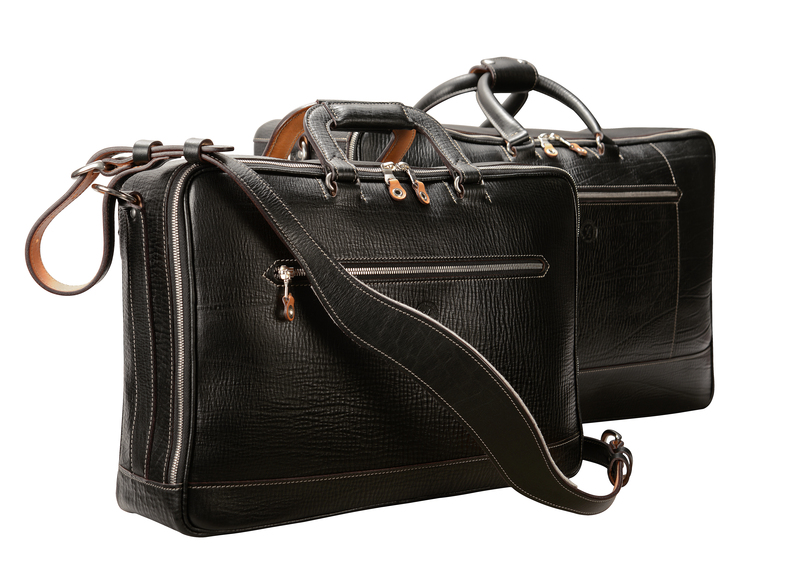 22″ hand-grained, hand-colored black Square Duffel: $2500. (Also available in hand-burnished leather: $1250). 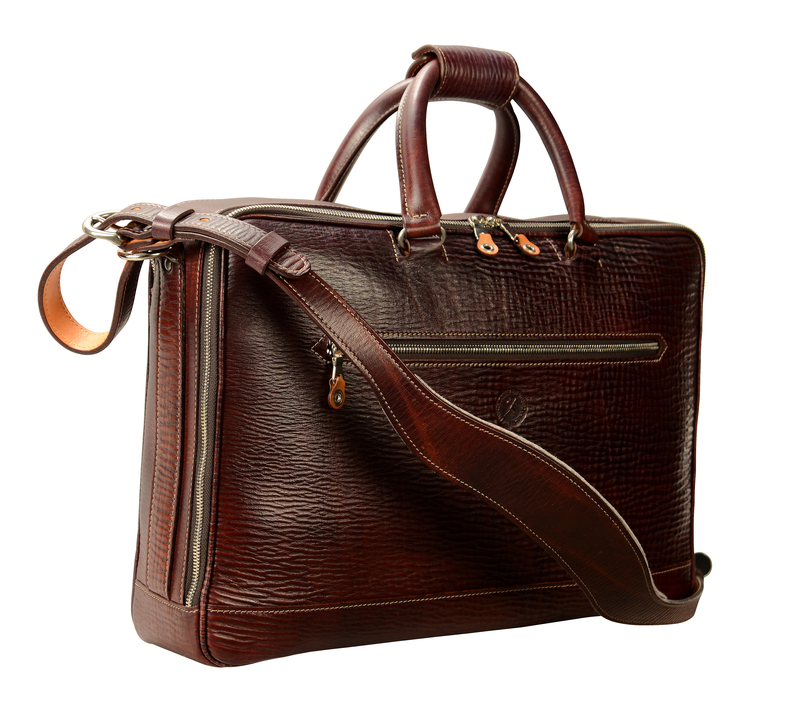 17″ hand-grained, hand-colored mahogany Soft Attaché: $2100. (Also available in hand-burnished leather: $1050). 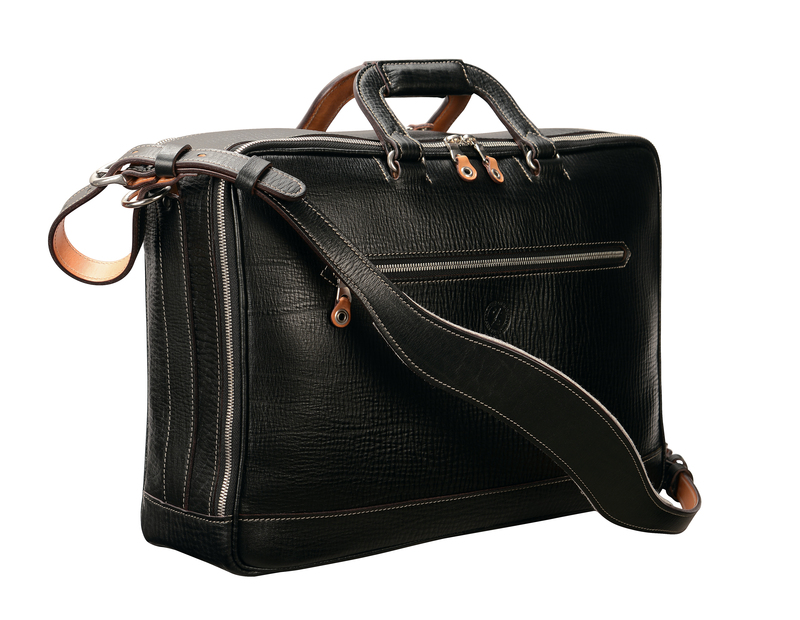 17″ hand-burnished black Soft Attaché: $1050. (Also available in hand-grained, hand-colored leather: $2100). 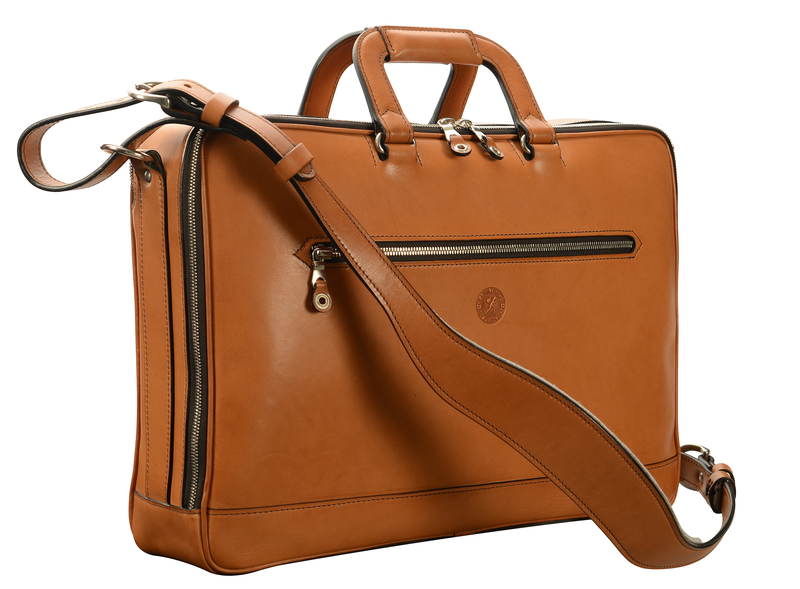 17″ hand-burnished chestnut Soft Attaché. 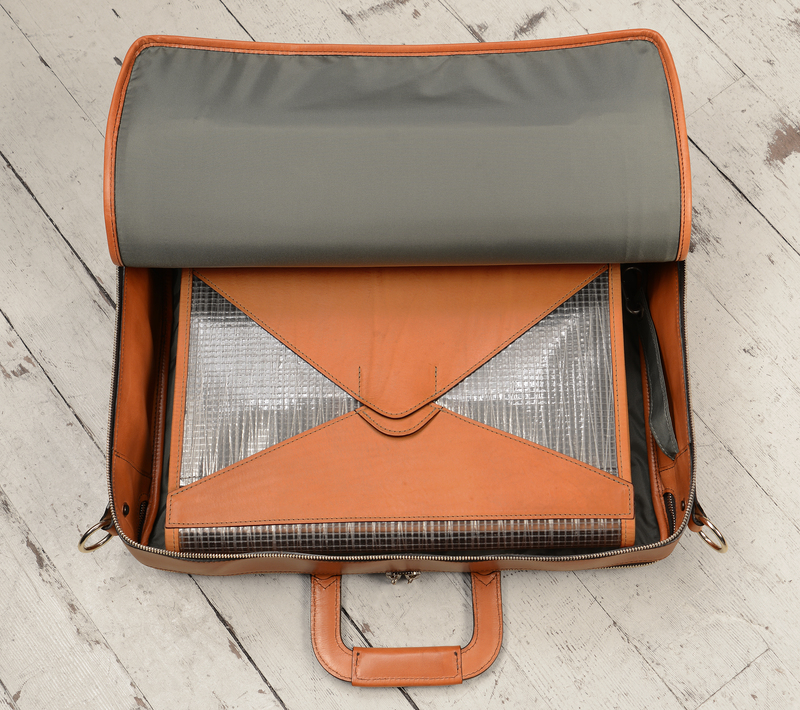 Soft Attache top-down showing top pocket and small stuff organizer.